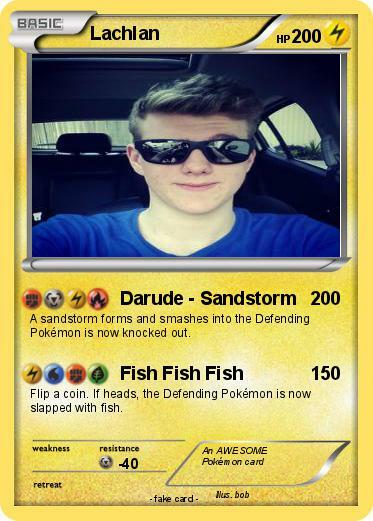 A sandstorm forms and smashes into the Defending Pokémon is now knocked out. Flip a coin. If heads, the Defending Pokémon is now slapped with fish.